States must ensure access to information regarding health care, social support and inclusion programmes for migrants and refugees as well as professionals including by guaranteeing that such information is provided in different languages and in accessible formats. Conflicts and systemic human rights violations occurring in the Middle East and North Africa have led an unprecedented number of people to flee their home and seek refuge in Europe. According to the online platform of the International Organisation for Migration more than a million migrants and refugees4 crossed into Europe in 2015 and most recent figures estimate that at least 338,342 have arrived since the beginning of 2016. IOM’s data shows that more than 90% of the arrivals in Europe come from countries involved in conflicts, such as Syria, Afghanistan, Iraq and Somalia. One of MHE’s members in Germany, BunderspsychotherapeutenKamer (BPtk), has reported that 70% of asylum seekers in Germany have witnessed and/or experienced severe violence. Many who experience such extreme and traumatic events may endure psychological reactions such as hopelessness, fear, anxiety, sadness or anger as well as behavioural and social difficulties including sleep problems, restlessness, social withdrawal, and intrusive memories. It is important to note that such reactions to difficult events are normal. With the right support, including social interventions, people can overcome such mental distress. However, our concern is that many migrants and refugees face barriers to accessing mental healthcare and support. Furthermore, once they arrive, they may also encounter distressing situations such as detention in camps, deportation, denial of basic services and protection, poverty, discrimination, and social exclusion. BPtK also reported that in their experience 50% of migrants and refugees are inclined to suffer from depression and 40% to experience post-traumatic stress which would require suitable psychological support. Other sources have estimated prevalence of mental health problems within these populations as between 5 and 20% with prevalence varying depending on variables such as age, nationality, religion, and types of mental health problems.5 Disregarding the need for mental health support has many negative consequences. First and foremost, it can impact on mental health and wellbeing and if left unaddressed can lead to more severe and acute mental health problems. Experiencing mental health problems can further lead migrants and refugees to encounter additional intersectional barriers to social inclusion thereby negatively impacting on their prospects for the future including employment. Following the recent adoption of the European Commission’s proposals on migration and the new Partnership Framework, MHE is worried that the EU’s response to the migration ‘crisis’ is mainly concerned with trying to stem the flow of migration. The focus is on issues like border control, deterrence of entrance and processing returns of irregular migrant. Little consideration is given to how this focus affects core EU values such as human rights and freedom. This preoccupation reflects the inadequacy of the EU’s response and serves to undermine the EU’s leadership role in relation to human rights. While the European Commission and some European leaders have shown commitment to these foundational ideals, other political leaders have either tried to avoid dealing with migrants and refugees or worse, used the issue of migration to stoke populist and extremist thinking. MHE believes that a humanitarian as well as political crisis has been caused by the failure of many Member States to commit to deal with the situation in an integrated way. Instead of acting together to meet this challenge by developing a common plan; Member States have entered into endless discussions around strategies which are unlikely to work in the longer term. The Committee on the Rights of Persons with Disabilities has also addressed the fact that the EU has failed to take a human rights-based approach to its migration policies and recommended the EU to ‘mainstream disability in its migration and refugee policies and also recommended that the European Union issues guidelines to its agencies and member States that restrictive detention of persons with disabilities in the context of migration and asylum seeking is not in line with the Convention’. Additionally, the EU adopted a deal with Turkey -known as the EU-Turkey deal- aimed at preventing people smuggling to Europe. The terms of the deal mean that anyone arriving illegally in Greece after 20 March 2016 will be sent back to Turkey if their asylum application is rejected, or if they fail to apply for asylum. In exchange for every person returned, the EU will resettle one Syrian refugee from a Turkish camp. According to a European Commission Press Release from June, 462 persons who entered irregularly in Greece were returned to Turkey and 511 Syrian refugees were resettled from Turkey to the EU. MHE is concerned that the unmonitored implementation of the deal may compromise the provision of adequate protection and the respect of EU and international law requirements to which both the EU and Turkey have committed in the agreement. Additionally, the prohibition of non-refoulement which prohibits asylum seekers from being sent back to countries where they are at risk of torture or persecution or at risk of being been deported to such a place, may be threatened given that Turkey’s status as a safe third country is disputed by numerous human rights organisations such as Human Rights Watch and Amnesty International. MHE is also concerned that such return processes can increase the risk of migrants and refugees experiencing psychological distress. State Parties to the International Covenant on Economic, Social and Cultural Rights (ICESCR) are under an explicit obligation to ensure the right to the highest attainable standard of physical and mental health (Art 1) to all without discrimination. General Comment No.14 from the Committee on Economic, Social and Cultural Rights confirmed that the right to health entails the right to access health care, which is available, accessible, acceptable and of good quality. The General Comment also states that governments must ensure that “health facilities, goods and services are accessible to all, especially the most vulnerable or marginalised sections of the population, in law and in fact, without discrimination on any of the prohibited grounds”.6 It should be noted that migrants and refugees may be entitled to different immigration statuses – including refugee status -which entail different rights and benefits according to specific frameworks. In addition to the right to health articulated above, other legal documents enshrine further relevant obligations. At EU level, the Reception Conditions Directive establishes common standards of living for asylum seekers and includes access to healthcare which comprises mental healthcare. Additionally, the European Revised Social Charter also states that migrant workers and their families are entitled to the right to protection of health. The EU Victim’s Rights Directive entitles any migrant who is a victim of a crime to access free healthcare and psychological support. Additionally, the 1951 Convention relating to the Status of Refugees states that refugees should enjoy access to health services equivalent to that of the host population. However, MHE wishes to reiterate that the right to the highest attainable standard of mental health applies regardless of migrations status. This point is particularly important for migrants who may not have any form of immigration status, such as undocumented migrants who may fear repercussions if they seek mental healthcare. In order to ensure access to healthcare, MHE believes that healthcare should be separated from immigration policies. Moreover, MHE notes that in many States, migrants and refugees have limited entitlement to healthcare as reported by the FRA thematic focus on health. 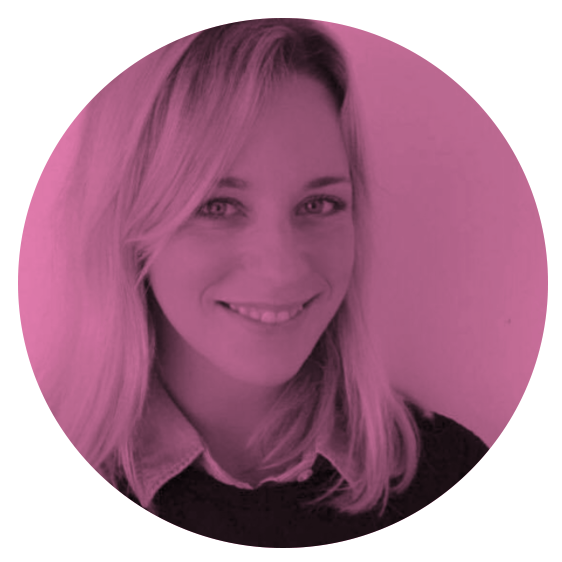 Another common problem is that unfortunately, mental health support is often considered to be specialised healthcare and access to it, particularly alternatives to medication, are limited on this basis. MHE is aware that the increased migration flows have led to the development of acute humanitarian situations in certain places in Europe such as Greece, Southern Italy, Como, and Calais. It is important to remember that personnel on the ground are working under difficult circumstances in these more acute situations, however MHE notes that human rights should be promoted and respected during responses to humanitarian situations including the right to mental health. Guidelines such as IASC Guidelines for Mental Health and Psychosocial Support (2007) and the Multi-agency guidance on Mental Health and Psychosocial Support can be helpful in these settings. In addition to the political and human rights arguments in support of providing quality mental healthcare and support to migrants and refugees, there is also an economic rationale that providing such support and ensuring prevention and early intervention in relation to mental health is cheaper in the long-term than simply providing access to emergency or acute care for migrants and refugees. The WHO has reported that in general, late establishment of mental healthcare leads to higher costs within healthcare budgets. The FRA have also found in their report on “The cost of exclusion from healthcare” that providing access to regular preventive healthcare for migrants in an ‘irregular situation’ actually leads to cost-saving for governments. We also know that mental and physical health are interlinked and that one can influence the other.7 Physical treatment can be less effective if mental health problems are not addressed, therefore if the physical health of migrants and refugees is exclusively treated, it can also lead to the worsening of physical health conditions. Lack of support networks and limited family reunification: Lack of support networks can leave migrants and refugees less resilient to mental distress which can lead to the development of mental health problems. Many migrants and refugees make the journey alone, in advance of family members and do not have access to the support networks they did at home. Family reunification is one of the ways in which migrants and refugees can seek to have their families join with them in the EU. The EU Directive on family reunification allows for non-EU nationals who are legally residing in the EU to bring their spouse, under-age children and the children of their spouse to live with them in the EU. However, a report from the Commission concluded that there are issues with the implementation of the Directive including incorrect transposition or misapplication. Since the flow of migration has increased to the EU, Member States have adopted new restrictions on the rights of migrants and refugees to family reunification. It is MHE’s view that limiting family reunification will only create a new set of problems for social inclusion because it deprives refugees and migrants of vital support networks. MHE is of the view that family reunification should instead be seen as a safe pathway to Europe and be provided for in line with the EU Directive. Reception centres: UNHCR and the FRA have reported that the environment in reception centres can be unsuitable and unsafe and would require local authorities to establish a solid monitoring system which ensure a secure and adequate environment as well as quality health services. Additionally, UNHCR has stated that women refugees and unaccompanied children are at a heightened risk of experiencing human rights abuses – including human trafficking, exploitation, torture, and discrimination- in reception centres and along the journey to the EU. According to UNHCR data, since January 2016, children accounted for 32% of arrivals and women accounted for 19%. Experiencing such abuses increases the risk of migrants and refugees developing mental health problems. Member States should ensure safe and adequate reception of all migrants and refugees, with particular attention being paid to the heightened risk factors for unaccompanied minors and women and that adequate physical and mental health support is provided to victims of such abuses. The pull factor: Some European States have claimed that providing services or support attracts migrants and refugees and use this so called ‘pull factor’ as a justification for denying access to services and support for migrants and refugees. This has consequences for mental health services because they are not funded to provide care to migrants and refugees which in turn leads to treatment gaps. We know from some of our members on the ground that NGOs and volunteers are left to try to fill these treatment gaps in whatever way they can. Lack of training: Professionals who are in contact with migrants and refugees such as police officers, judicial and ministry officials and health and social services have been reported by Doctors without Borders to be ill-equipped to deal with traumatised individuals. In MHE’s view all such professionals should undergo appropriate mental health training in order to be able to adapt their attitude, identify and support persons experiencing trauma and mental distress as well as refer them to appropriate services. Language & culture barriers: Language represents a huge challenge for the provision of mental health support to migrants and refugees who may not speak the native language of their receiving State. Without the ability to communicate or to understand information from health care professionals, migrants and refugees receive poorer care and their access to mental health support will be hindered. In order to ensure that support is culturally sensitive and person centred it should be co-produced with migrants and refugees. Training cultural mediators can be one way to assist with psychological support and enable an effective exchange between professionals and patients. MHE’s philosophy is that not all approaches to mental health, such as the bio-medical approach to mental health which is dominate in Europe, are universal. Many migrants may come from countries where mental health is not acknowledged or is understood differently, hence the need for flexibility and adaptability of the support provided. The failure of Member States to provide mental health support to migrants and refugees is a barrier to social inclusion and will likely end up being costlier than providing earlier and preventative mental healthcare and support. 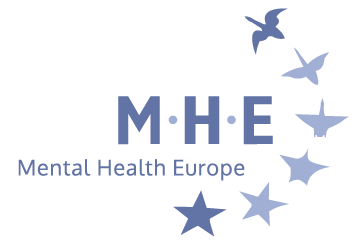 MHE urges Member States and the EU to ensure that the mental health perspectives of the migration ‘crisis’ are addressed and that migrants and refugees have access to quality mental health care and support. We welcome certain EU actions such as the EU Blue card proposition and the International Organisation for Migration’s initiative entitled Equihealth which is supported by the Commission and enables exchange of good practices in relation to health care for migrants. Additionally, in 2016 the European Commission’s Health Programme included a specific call for projects focused on mental health for migrants and refugees. However, more could be done at European level to address the health challenges posed by the increased migration flow to Europe and the EU should encourage the adoption of preventive actions aimed at tackling mental health risk factors and breaking down barriers which stop migrants and refugees from receiving mental healthcare in the EU. CRPD/C/EU/CO/1, recommandation on article 11, §35. MHE refers to the following definitions: refugees are people who fulfils the criteria as outlined in Art 1 of the 1951 Convention. Migrants is a broad catchall term used in this paper to describe anyone besides those who qualify as a refugee including those who have varying types of immigration status, those who have applied for international protection as well as undocumented migrants. Asylum seekers are people who have applied for international protection and are yet to be recognised as refugees. Undocumented migrants are people without a residence permit authorising them to regularly stay in their country of destination. For more information on the varying statuses, please see the following websites for more details: IOM and PICUM. 5The Review for Mental Health and Psychosocial Support Staff Working with Syrians Affected by Armed Conflict commissioned by UNHCR cites prevalence of mental health problems between 10-20% and the WHO Heath Evidence Network Synthesis report 47 indicates that prevalence is about 7-17%. E/C.12/2000/4, §12. It should be noted that such prohibition based on discrimination was defined in General Comment no. 20 by the Committee on Economic, Social and Cultural Rights (E/C.12/GC/20).